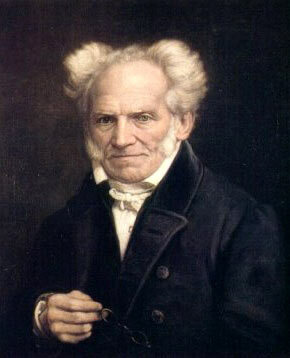 The following extract from On the Basis of Morality describes how, in Schopenhauer's Ethics, the cardinal virtue of Loving-kindness derives from Compassion; which as we have read in an earlier chapter, is the only true basis of Morality. On The Basis of Morality - Part III, Chapter VI, or §18. Translated by Arthur Brodrick Bullock. hus justice is the primary and essentially cardinal virtue. Ancient philosophers recognised it as such, but made it co-ordinate with three others unsuitably chosen. 1 Loving-kindness (caritas, 'αγάπη) was not as yet ranked as a virtue. Plato himself, who rises highest in moral science, reaches only so far as voluntary, disinterested justice. It is true that loving-kindness has existed at all times in practice and in fact ; but it was reserved for Christianity, whose greatest service is seen in this to theoretically formulate, and expressly advance it not only as a virtue, but as the queen of all ; and to extend it even to enemies. We are thinking of course only of Europe. For in Asia, a thousand years before, the boundless love of one's neighbour had been prescribed and taught, as well as practised: the Vedas2 are full of it ; while in the Dharma-Sastra , Itihasa and Purana3 it constantly recurs, to say nothing of the preaching of Shakyamuni, the Buddha. And to be quite accurate we must admit that there are traces to be found among the Greeks and Romans of a recommendation to follow loving-kindness; for instance, in Cicero, De Finibus, V, 23; 4 and also in Pythagoras, according to Iamblichus, De vita Pythagorae, chap. 33. My task is now to give a philosophical derivation of this virtue from the principle I have laid down. t has been demonstrated in Chapter V of this Part, that the sense of Compassion, however much its origin is shrouded in mystery, is the one and sole cause whereby the suffering I see in another, of itself, and as such, becomes directly my motive ; and we have seen that the first stage of this process is negative. The second degree is sharply distinguished from the first, through the positive character of the actions resulting therefrom; for at this point Compassion does more than keep me back from injuring my neighbour ; it impels me to help him. And according as, on the one hand, my sense of direct participation is keen and deep, and, on the other hand, the distress is great and urgent, so shall I be constrained by this motive, which (be it noted) is purely and wholly moral, to make a greater or less sacrifice in order to meet the need or the calamity which I observe ; and this sacrifice may involve the expenditure of my bodily or mental powers, the loss of my property, freedom, or even life. So that in this direct suffering with another, which rests on no arguments and requires none, is found the one simple origin of loving-kindness, caritas, 'αγάπη in other words, that virtue whose rule is: Omnes, quantum potes, juva (help all people, as far as lies in your power); and from which all those actions proceed which are prescribed by Ethics under the name of duties of virtue, otherwise called duties of love, or imperfect duties. It is solely by direct and, as it were, instinctive participation in the sufferings which we see, in other words, by Compassion [Mitleid], that conduct so defined is occasioned; at least when it can be said to have moral worth, that is, be declared free from all egoistic motives, and when on that account it awakens in us that inward contentment which is called a good, satisfied, approving conscience, and elicits from the spectator (not without making him cast a humiliating glance at himself), that remarkable commendation, respect, and admiration which are too well-known to be denied. ut if a beneficent action has any other motive whatever, then it must be egoistic, if not actually malicious. For as the fundamental springs of all human conduct (vide Chapter V of this Part), are three, namely, Egoism, Malice, Compassion; so the various motives which are capable of affecting men may be grouped under three general heads : (1) one's own weal; (2) others' woe; (3) others' weal. Now if the motive of a kind act does not belong to the third class, it must of course be found in the first or second. To the second it is occasionally to be ascribed; for instance, if I do good to someone, in order to vex another, to whom I am hostile; or to make the latter's sufferings more acute; or, it may be, to put to shame a third person, who refrained from helping; or lastly, to inflict a mortification on the man whom I benefit. But it much more usually springs from the first class. And this is the case whenever, in doing some good, I have in view my own weal, no matter how remote or indirect it may be; that is, whenever I am influenced by the thought of reward whether in this, or in another, world, or by the hope of winning high esteem, and of gaining a reputation for nobleness of character ; or again, when I reflect that the person, whom I now aid, may one day be able to assist me in return, or otherwise be of some service and benefit; or when, lastly, I am guided by the consideration that I must keep the rules of magnanimity and beneficence, because I too may on some occasion profit thereby. In a word, my motive is egoistic as soon as it is anything other than the purely objective desire of simply knowing, without any ulterior purpose, that my neighbour is helped, delivered from his distress and need, or freed from his suffering. If such an aim shorn, as it is, of all subjectivity be really mine, then, and then only, have I given proof of that loving-kindness, caritas, 'αγάπη, which it is the great and distinguishing merit of Christianity to have preached. It should be observed, in this connection, that the injunctions which the Gospel adds to its commandment of love: Μἠ γνώτω ἠ ἀριστερά σου, τί ποιεῖ ἠ δεξία σου, that is: Sinistra tua manus haud cognoscat, quae dextra facit (let not thy left hand know what thy right hand doeth), and the like, are, in point of fact, based on a consciousness of the conclusion I have here reached, namely, that another's distress, of itself alone, without any further consideration, must be my motive, if what I do is to be of moral value. And in the same place (Matthew 6:2) we find it stated with perfect truth that ostentatious almsgivers have their reward. Although in this respect also the Vedas shed on us the light of a higher teaching. They repeatedly declare that he, who desires any sort of recompense for his work, is still wandering in the path of darkness and not yet ripe for deliverance. If anyone should ask me what he gets from a charitable act, my answer in all sincerity would be: This, that the lot of the poor man you relieve is just so much the lighter; otherwise absolutely nothing. If you are not satisfied, and feel that such is not a sufficient end, then your wish was not to give alms, but to make a purchase; and you have effected a bad bargain. But if the one thing you are concerned with is that he should feel the pressure of poverty less; then you have gained your object; you have diminished his suffering and you see exactly how far your gift is requited. his, however, presupposes that to a certain extent I have become identified with the other, and consequently that the barrier between the ego and the non-ego is, for the moment, broken down. It is then, and then only, that I make his interests, his need, his distress, his suffering directly my own; it is then that the empirical picture I have of him vanishes, and I no longer see the stranger, who is entirely unlike myself, and to whom I am indifferent ; but I share his pain in him, despite the certainty that his skin does not enclose my nerves. Only in this way is it possible for his woe, his distress to become a motive for me; otherwise I should be influenced solely by my own. This process is, I repeat, mysterious. For it is one for which Reason can give no direct account and its causes lie outside the field of experience. And yet it is of daily occurrence. Everyone has often felt its working within himself; even to the most hard-hearted and selfish it is not unknown. Each day that passes brings it before our eyes, in single acts, on a small scale; whenever a man, by direct impulse, without much reflection, helps a fellow-creature and comes to his aid, sometimes even exposing himself to the most imminent peril for the sake of one he has never seen before, and this, with- out once thinking of anything but the fact that he witnesses another's great distress and danger. It was manifested on a large scale, when after long consideration, and many a stormy debate, the noble- hearted British nation gave twenty millions of pounds to ransom the negroes in its colonies, with the approbation and joy of a whole world. If anyone refuses to recognise in Compassion the cause of this deed, magnificent as it is in its grand proportions, and prefers to ascribe it to Christianity; let him remember that in the whole of the New Testament not one word is said against slavery, though at that time it was practically universal ; and further, that as late as A.D. 1860, in North America, when the question was being discussed, a man was found who thought to strengthen his case by appealing to the fact that Abraham and Jacob kept slaves! hat will be in each separate case the practical effect of this mysterious inner process may be left to Ethics to analyse, in chapters and paragraphs entitled "Duties of Virtue," "Duties of Love," "Imperfect Duties," or whatever other name be used. The root, the basis of all these is the one here indicated; for out of it arises the primary precept : Omnes, quantum potes, juva; from which in turn everything else required can very easily be deduced; just as out of the Neminem laede the first half of my principle all duties of justice are derivable. Ethics is in truth the easiest of all sciences. And this is only to be expected, since it is incumbent on each person to construct it for himself, and himself form the rule for every case, as it occurs, out of the fundamental law which lies deep in his heart; for few have leisure and patience enough to learn a ready-made system of Morals. From justice and loving-kindness spring all the other virtues; for which reason these two may properly be called cardinal and the disclosure of their origin lays the corner-stone of Moral Science. The entire ethical content of the Old Testament is justice; loving-kindness being that of the New. The latter is the καινὴ ἐντολή (the new commandment, John 13:34), which according to Paul (Romans xiii. 8:10) includes all Christian virtues.